In a world full of “Pinterest weddings”, it seems that this special day is finding ways of becoming more and more unique! Seeing other bride’s ideas is enough to inspire any bride-to-be – and keep you glued to your computer screen for hours; creating Pinterest board after Pinterest board. To help you out, we’ve compiled a list of our all-time favorite unique wedding ideas for the most memorable day EVER! How special is this! 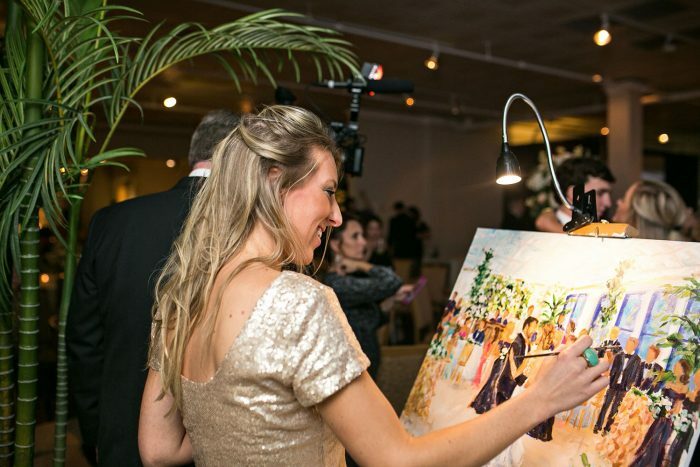 During your ceremony or reception have a live painter, at the end of the night, you will have a beautiful, one-of-a-kind work of art to commemorate your wedding. 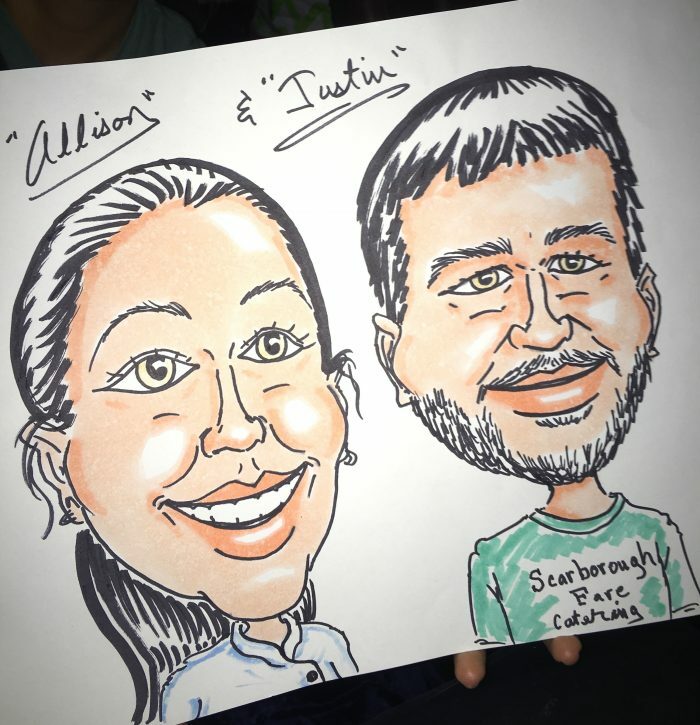 Another idea is to have a caricaturist. This unique touch to your day will be so much fun for guests and is a perfect take-home favor! 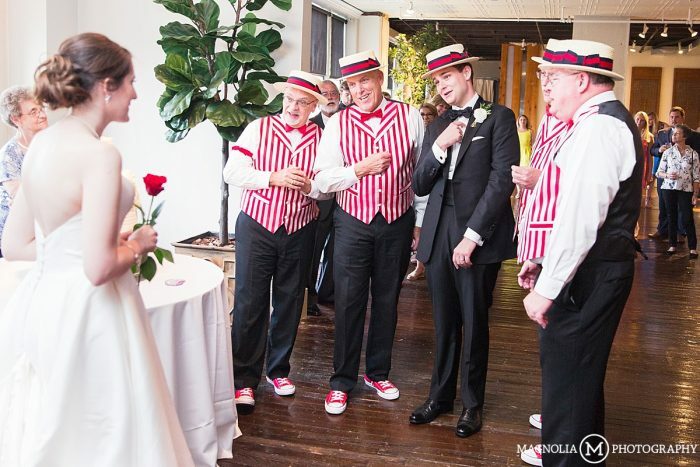 This sweet groom surprised his new bride with an A Capella group to serenade her at the reception. He even joined in to make it that much more special. No doubt, your first dance as husband and wife will be a highlight of your wedding. We know you put a lot of time into finding just the right the song! But to make it even more special, add this extra touch to up the entertainment factor – and make for some seriously fabulous photo ops! If you have chosen a slow and romantic song, have confetti or fresh flower petals drop from the ceiling. Or, if you want to get your guests in on the action, pass out sparklers for them to hold during your first dance. 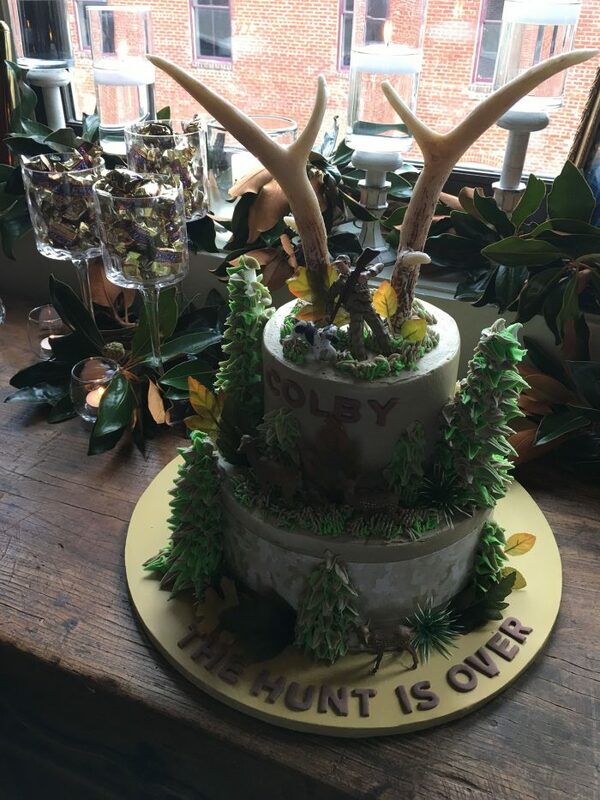 The rehearsal dinner or reception is often a time many brides decide to surprise their groom with a cake all his own – designed to fit his personality. Our advice to brides – GO NUTS! Since etiquette reports that this is an offering from the bride to her new groom, use it as a cute and fun way to show how well you really know him. 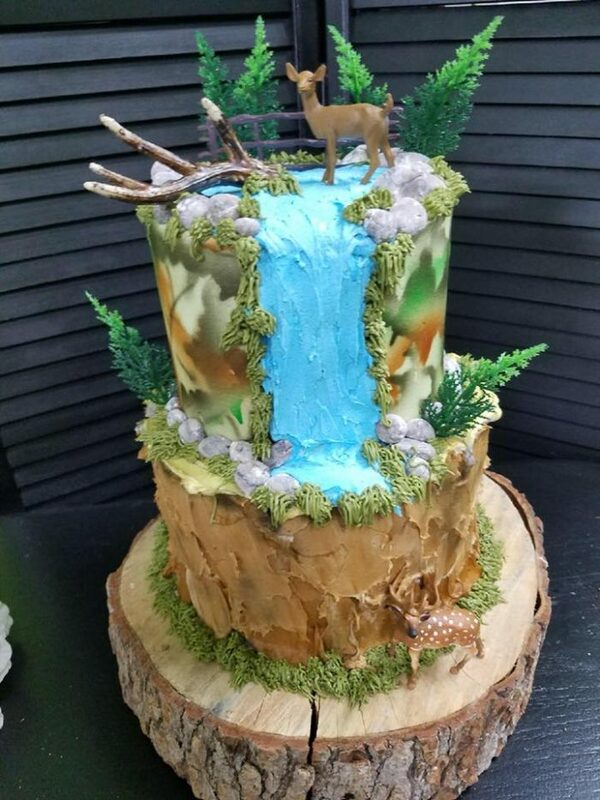 The groom’s cake can symbolize his favorites hobby or even where the two of you will spend your honeymoon! Of course, we can’t forget to mention the food! We suggest this a lot, but it really is that great! 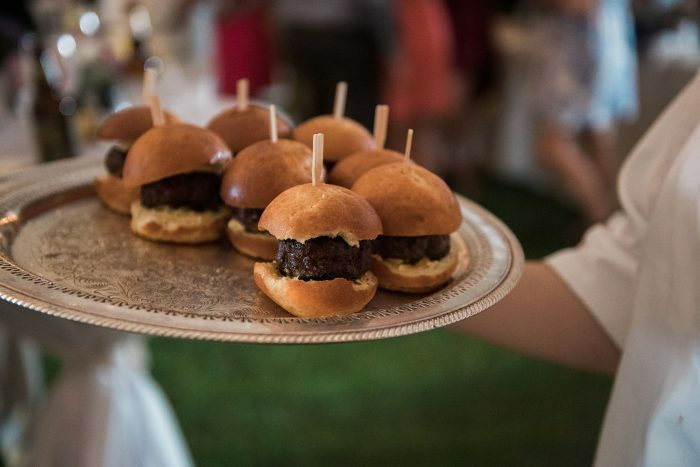 Offering guests a late night snack to keep them fueled during the reception is a great way to thank them for coming to celebrate your big day! There are so many options for late night snacks, but to make it even more unique consider items like – a miniature shot bottle of tequila and shrimp taco pairing, or a hot dog stand waiting for guests as they leave! Another idea for a late-night snack is sliders! Who doesn’t love a good slider? They are easy to serve, easy to eat and easy to carry on the dance floor! Mini buffalo burger sliders, BBQ sliders, Angus beef sliders and Beef Brisket Sliders with Crispy Tobacco Onions, Blue Cheese, & Molasses BBQ Sauce are all crowd-pleasing choices. We hope these ideas have inspired you! At Scarborough Face Catering we make every event one to remember. We work with brides and grooms to plan their perfect day and we just love seeing new creative ideas that make the day even more special! If you’re ready to start planning your big day (and the menu) contact us!